The objective of the study was to review the reported cases of uncommon benign uterine tumors managed by laparoscopy. Medline database was searched using predefined search terms linked to atypical leiomyomas, leiomyoma variants, laparoscopy and morcellation. Quality of articles was assessed using Joanna Briggs Institute (JBI) critical appraisal tool. Due to heterogeneity in reporting characteristics of the patients, radiological findings, macroscopic findings, histological characteristics and follow-up, we performed a narrative synthesis. We included 109 cases of leiomyoma variants managed by laparoscopy. This stands for an incidence of 2.5% out of all the included laparoscopic management of leiomyomas. These cases were approached as classic leiomyoma. Only after the final histological results that their uncommon aspect was diagnosed. 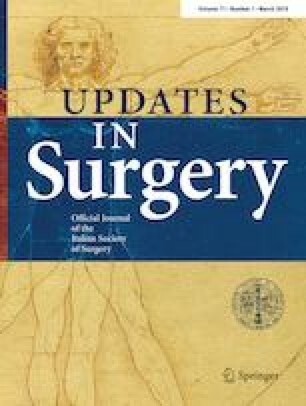 Intra-operatively, the management was similar to that of leiomyoma, with either myomectomy or hysterectomy performed depending on each individual case. Follow-up of these cases was variable: one case (0.9%) recurred as peritoneal sarcoma after 5 years of follow-up. It is important for the gynecologist, radiologist and pathologist to be aware about leiomyoma variants trying to diagnose them preoperatively. Strict follow-up of these cases is mandatory, because of the risk of recurrence and the very low but possible risk of future sarcomas. The work was not supported by any fund/grant.